STOP! Worrying Card This 3 x 5 card is for the person who wants to put a stop to their worry! 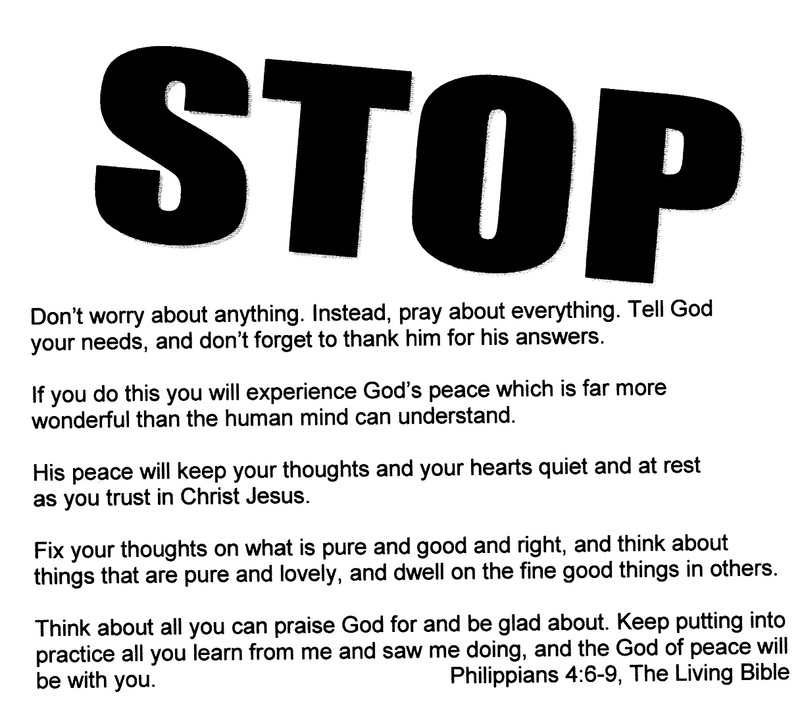 The word STOP is printed on one side of the card and Philippians 4:6-9 is printed on the other. Keep the card with you at all times. Whenever you’re alone and begin to worry, take the card out, hold the STOP side in front of you, and say aloud “Stop!” twice with emphasis. Then turn the card over and read the Scripture passage aloud twice with emphasis. Taking the card out interrupts your thought pattern of worry. Saying the word “Stop! Further breaks your automatic habit pattern of worry. Then reading the Word of God aloud becomes the positive substitute for worry. If you are in a group of people and begin to worry, follow the same procedure, only do it silently. This works! 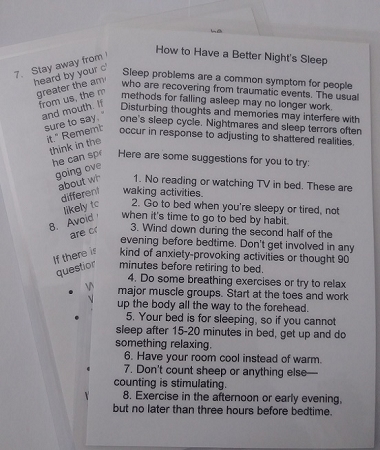 Norm has shared this during seminars and in counseling sessions. There are hundreds of card carrying ex-worriers throughout the United States!